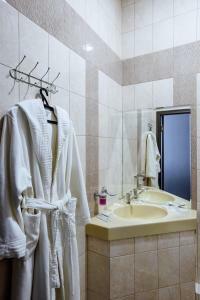 A-HOTEL.com - Luxury and cheap accommodation in Sennoy, Russia. Prices and hotel, apartment booking in Sennoy and surrounding. Апартаменты на Савушкина около АГТУ is situated in Astrakhan. Guests are welcome to enjoy the free WiFi. Апартаменты Савушкина 6/7 этаж 6. ЖК Прогресс is located in Astrakhan. Савушкина 6д is located in Astrakhan. This apartment features air-conditioned accommodation with a balcony and free WiFi. Set in Astrakhan in the Astrakhan region, Apartment on Savushkina 6/7 has a balcony. Guests staying at this apartment have access to free WiFi. Апартаменты на Ботвина 29 is situated in Astrakhan. The accommodation features free WiFi. Апартаменты Савушкина 6/7 этаж 4 is situated in Astrakhan. Free WiFi is provided. 11 улица Савушкина is located in Astrakhan. The nearest airport is Narimanovo Airport, 12 km from the apartment.